In mid-January, a field of cotton was still awaiting harvest east of Caldwell, Kansas. Cotton begins to discolor and the bolls become strung out and more difficult to harvest the longer the crop remains in the field. Despite the harvest challenges caused by a wet fall, cotton acreage in southern Kansas and northern Oklahoma is still expected to increase again in 2019. Photo by Candace Krebs. Despite a long, drawn out harvest for many Southern Plains cotton growers this winter, yields and prices have been good enough to convince many farmers at the northern edge of the cotton belt to continue increasing acreage in 2019. Seth Byrd, Oklahoma State University’s statewide cotton specialist, confirmed he is hearing a similar sentiment expressed by many growers. “We could have had a better year in some respects, but at end of the day, the feedback I’m getting right now is that cotton is looking like the best thing for a lot of them,” he said. In Oklahoma alone, wheat lost an estimated 400,000 acres to cotton the past two years, a trend that seems likely to continue in 2019, especially since wet weather this fall made it difficult to get winter crops planted. 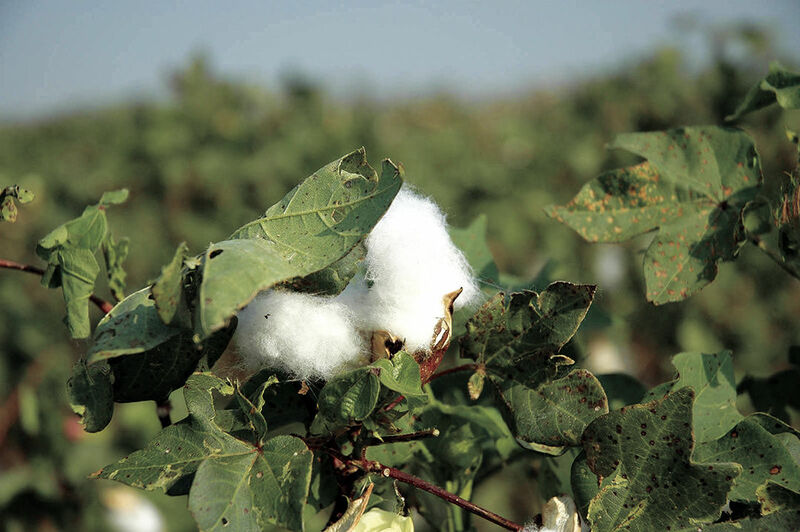 Pre-season surveys conducted by the cotton industry show Kansas and Oklahoma farmers are preparing to plant more cotton, with Oklahoma growers alone expected to exceed 825,000 acres, which could make for the largest planted acreage of cotton in state history. Kansas acreage is projected to top 200,000 acres. For now, though, many growers are still waiting to wrap up the current season, after wet fields and processing delays pushed harvest back later than normal across the region, Friesen said. Most of the Kansas crop has finally been harvested, but many growers are still waiting on the gins to analyze the quality, which will determine the ultimate price they receive. “If they can hang on and be patient, I think they’ll be very happy with how it turns out,” Friesen said. The biggest discount farmers are likely to see this fall will be due to off-coloring, Friesen said. “Due to all the rain, the fiber is not going to be the consistent brilliant white that we’ve grown accustomed to seeing in this area,” he explained. Meanwhile, infrastructure in the region is still struggling to catch up to the surge of new demand. Expansion and construction delays at five gins across southern Kansas have pushed back processing wait-times. “This is the year of growing pains, but next year it should be a lot better,” Friesen said. Individual farmers have also been buying baler-harvesters at a fast clip. Friesen estimated at least three-dozen of the $800,000 machines have been purchased new or used around the state, with others coming on line in northern Oklahoma. Trent Milacek, the northwest area agricultural economist for Oklahoma State University, has been helping farmers run the numbers as they decide which crops to plant in 2019. “When you take into account the yields farmers have seen on cotton the last two or three years, with averages of around 800 pounds per acre, it looks like a pretty good opportunity to make some money,” he said. That's not a slam-dunk. In dry years, the area’s cotton average has been closer to 500 pounds per acre. “That’s where you start to worry about whether you can breakeven or not,” Milacek said. Drought tends to be the biggest threat for area growers, but another is just getting used to working with a new crop, he said. In addition, it costs twice as much to grow cotton as it does wheat, and that can be an issue as farmers look to secure a line of credit, he noted. “It’s a big risk-big reward kind of thing,” he said. 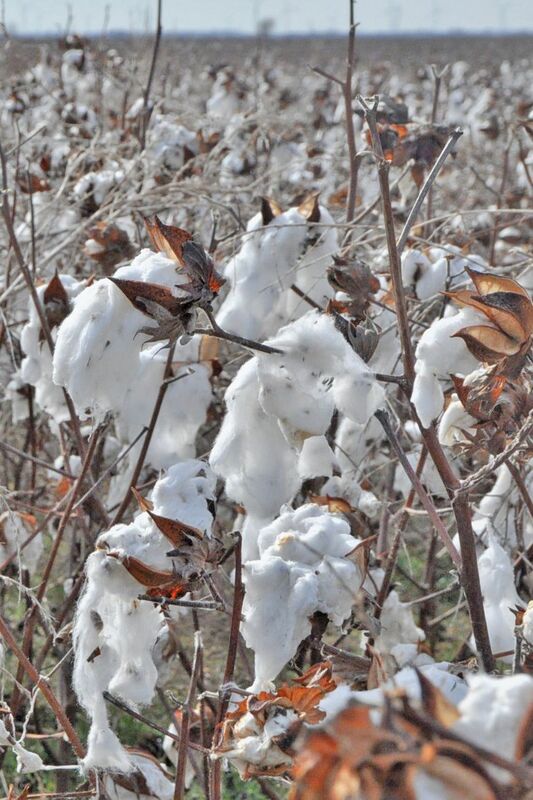 Even so, using conservative figures he said farmers in the area could expect to make close to $400 per acre gross revenue from the sale of lint and cottonseed combined. For that reason, cotton is on the upswing while interest in other crops is fading.